Coriolanus is a tragedy by William Shakespeare, believed to be written between 1605 and 1608. The play is based on the life of the legendary Roman leader Caius Marcius Coriolanus. 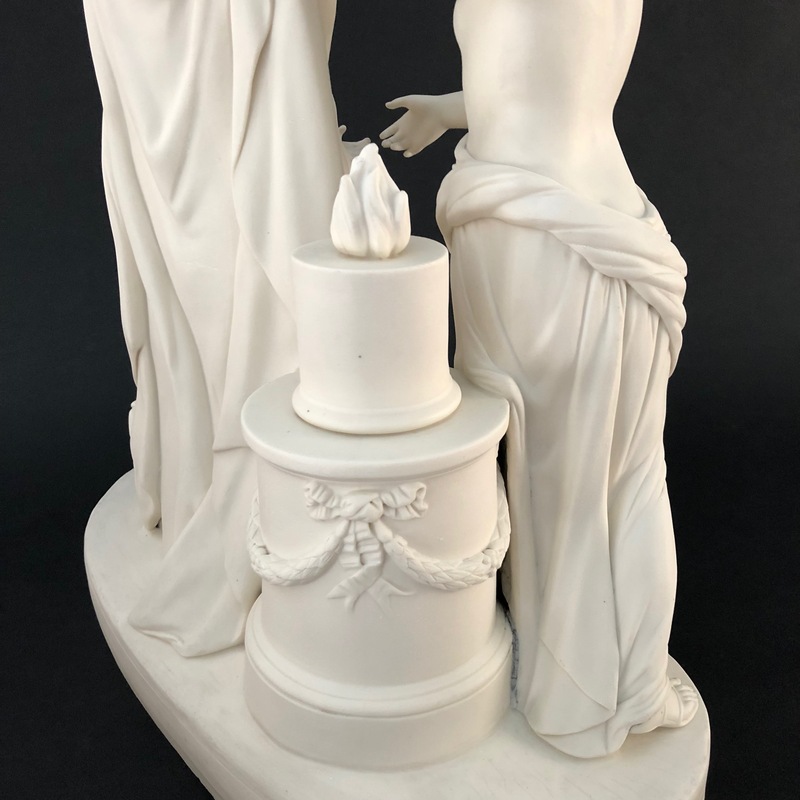 This is one of the largest and most complex pieces to be attempted in parian. 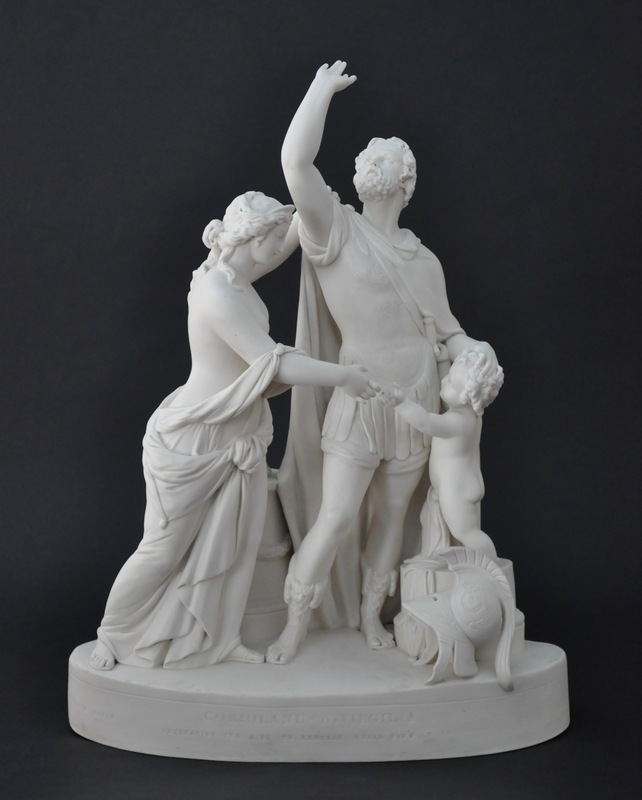 Coriolanus and his wife Virgilia are depicted here with their son Young Martius. 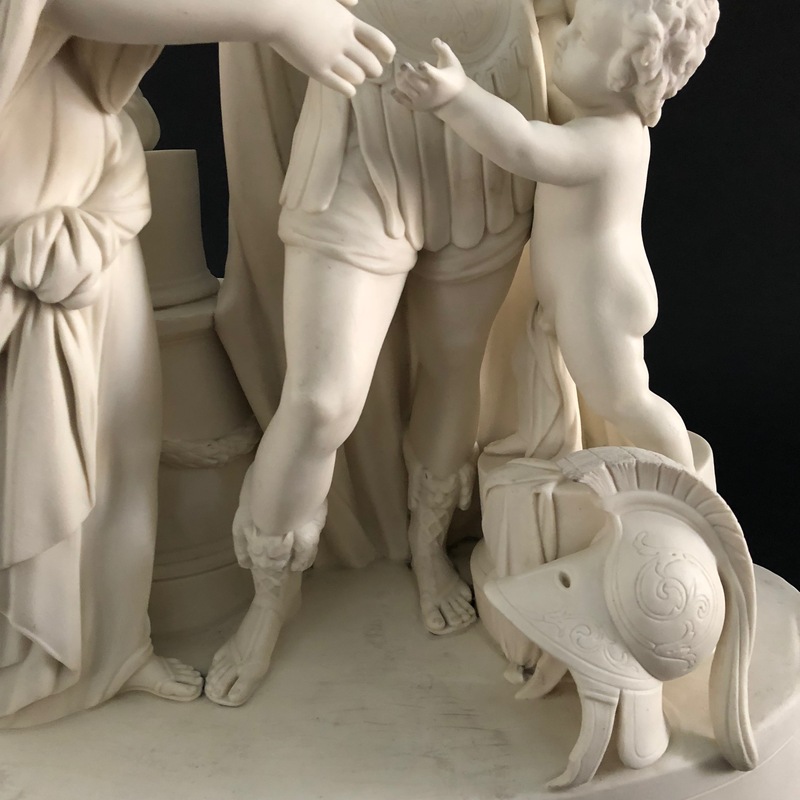 On the left side of the base, the piece is impressed W BEATTIE SCULP for William Beattie, a versatile sculptor and modeller who worked for a number of the leading manufacturers. 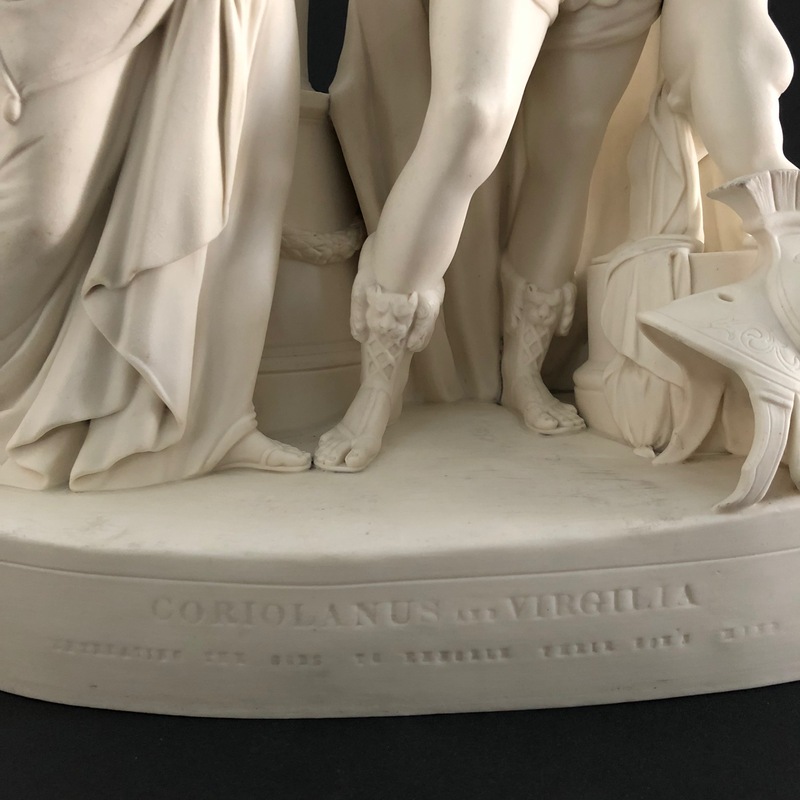 In bold letters, the front of the base is impressed CORIOLANUS AND VIRGILIA and just below in smaller letters ENTREATING THE GODS TO ENNOBLE THEIRS SON’S LIFE.